Daily Adventures of the SAHM: Don't make me say it Twice. I will though. Meet my new obsession. Don't make me say it Twice. I will though. Meet my new obsession. This isn't a sponsored post. Not even a little. Two weeks ago tonight, my life was changed forever. Shortly before bed, I saw on some random couponing site that website liketwice.com was offering free shipping for that night only, and if I signed up from the link posted, I'd get a $10 credit. 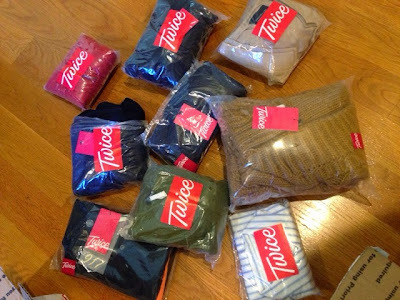 Since there were a slew of tops under $10 listed I'd be able to get a free clothing item. AND THEN I CLICKED THE LINK. 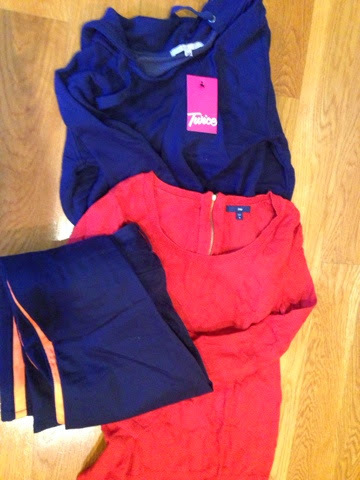 Talbots pants for $12. 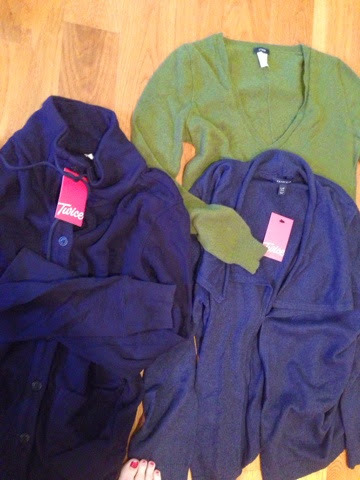 J.Crew sweaters for $10. 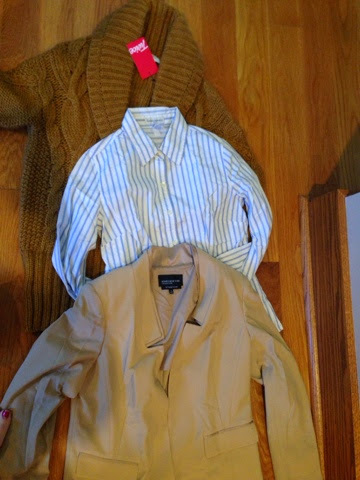 Gap blouses for $8... and that's not even the designer stuff. There's a freaking Marc Jacobs dress listed right now for $34, originally $348. What's the catch? It's resale. Not consignment. People can sell their gently used (key word: gently) clothing items to Twice and Twice then sells it to the public for cheap. You might turn up your nose at used, but srsly? Some are new with tags. 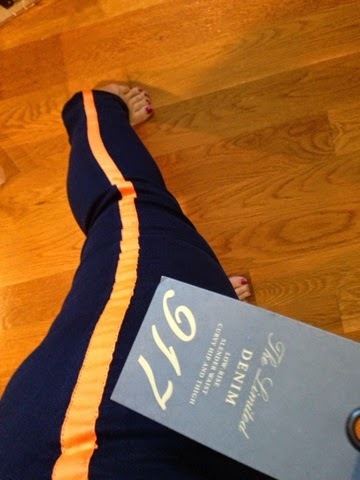 Like these The Limited tuxedo stripe skinny jeans, marked at $14.95. I HAD to show the world my haul because I'm disgustingly obsessed with this website now. I'm not just saying this: everything was in perfect condition. I expected pulled threads or small stains or pilling, but no. Perfection all around. So yeah. To say I'm excited is an understatement. I've placed two more orders since I received these! In summary: Twice is my new anti-drug. If you buy something through my referral link, we both get a $10 credit. The quality is impeccable and the pictures on the site don't do the clothes justice. Oh, and they JUST started selling handbags. Excuse me while I explode.